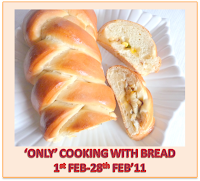 I made this for blogging marathon which happened few weeks back. Made this for Kid's delight but somehow got ended up making Crostini for the event. It has been in my folder since long.. Just give this a try guys, u would love this . As always we njoyed a lot.. Sorry for the photo guys, will upload a better pic later..Hope u like as well.. Bread slices -- 2 nos. Cheese slice -- 1 no. Tomato slice ( thicker ) --1 no. Onion slice ( thicker) -- 1 no. Egg plant slice -- 1 no. Season the veggies first i.e. sprinkle lil bit of salt and pepper , a drizzle of olive oil on each of the veggie .Grill the onion slices and the tomato until al dente. Slighly apply the butter on the bread on one side. Go ahead and spread the mayonnaise on the bread where u've already applied butter. Then place the grilled onion slice and then spread the veggie masala finely withpout dripping on the sides. Now keep the grilled tomato on top of the masala. Finally add the cheese slice on top of the tomato and close it with the other butter spread bread slice. Toast this bread in a pan / grill this bread until the cheese starts melting. Yumm, thats a tempting and droolworthy sandwich dear, ur click looks prefect for me..
Wow.a very guilt free recipe .Can munch anytime. Wounderful and healthy breakfast,Indianised version is very nice. Delicious healthy sandwich love the Indian touch on it. 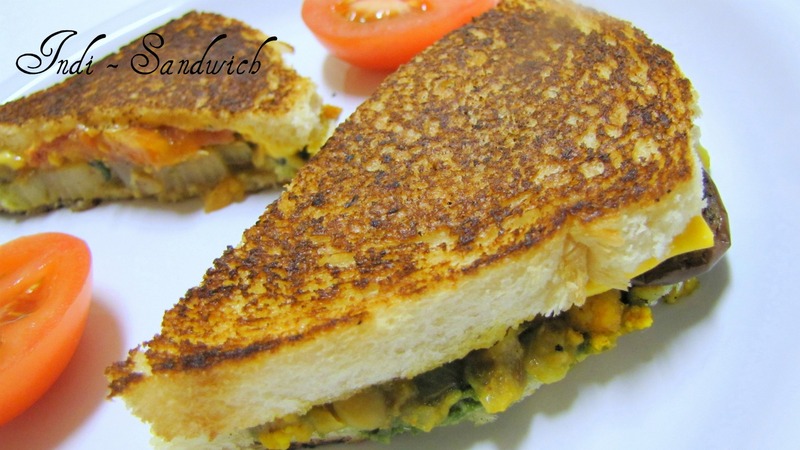 Woow Sho, yummy Desi sandwich..
Masala Sandwich looks so yummy..